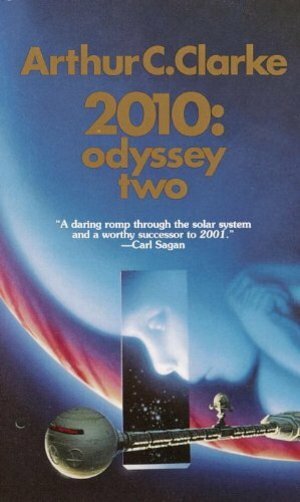 Book Description 2001: A Space Odyssey shocked, amazed, and delighted millions in the late 1960s. An instant book and movie classic, its fame has grown over the years. Yet along with the almost universal acclaim, a host of questions has grown more insistent through the years, for example: who or what transformed Dave Bowman into the Star-Child? What alien purpose lay behind the monoliths on the Moon and out in space? What could drive HAL to kill the crew? Now all those questions and many more have been answered, in this stunning sequel to the international bestseller. Cosmic in sweep, eloquent in its depiction of Man's place in the Universe, and filled with the romance of space, this novel is a monumental achievement and a must-read for Arthur C. Clarke fans old and new. "A daring romp through the solar system and a worthy successor to 2001." Carl Sagan Editorial Reviews From the Inside Flap 2001: A Space Odyssey shocked, amazed, and delighted millions in the late 1960s. An instant book and movie classic, its fame has grown over the years. Yet along with the almost universal acclaim, a host of questions has grown more insistent through the years, for example: who or what transformed Dave Bowman into the Star-Child? What alien purpose lay behind the monoliths on the Moon and out in space? What could drive HAL to kill the crew? Now all those questions and many more have been answered, in this stunning sequel to the international bestseller. Cosmic in sweep, eloquent in its depiction of Man's place in the Universe, and filled with the romance of space, this novel is a monumental achievement and a must-read for Arthur C. Clarke fans old and new. "A daring romp through the solar system and a worthy successor to 2001." Carl Sagan About the Author Born in Somerset in 1917, Arthur C. Clarke has written over sixty books, among which are the science fiction classics '2001, A Space Odyssey', 'Childhood's End', 'The City and the Stars' and 'Rendezvous With Rama'. He has won all the most prestigious science fiction trophies, and shared an Oscar nomination with Stanley Kubrick for the screenplay of the film of 2001. He was knighted in 1998. He passed away in March 2008. --This text refers to an out of print or unavailable edition of this title.